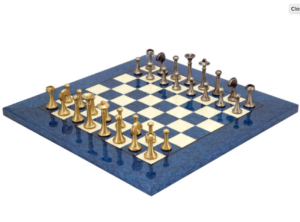 We are often asked, what is your coolest chess set. 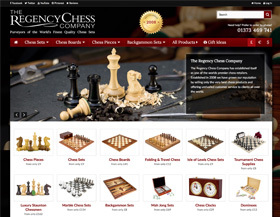 It’s a difficult question to answer, we have hundreds of products on our chess retail website and it’s sometimes hard to determine which ones stand out as being particularly cool. 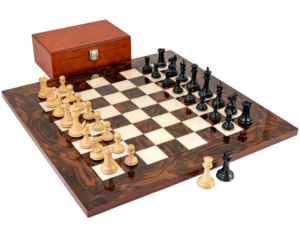 Below is a list of our top three coolest chess sets (in our humble opinion). This set is one of our firm favourites. It’s a classic Staunton design and just looks absolutely stunning. The main attraction to this set is the board. It’s Italian (enough said) and has been crafted to an extreme level. It’s high gloss and features stunning rich wood grains, lovely deep chocolate brown tones. 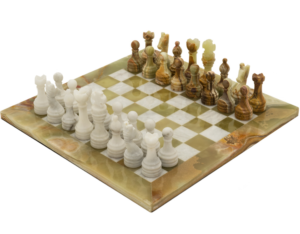 The high gloss surface of the board reflects the stunning ebony chessmen which adds another dimension to it. The pieces themselves are classic Staunton, made to exacting standards of perfection. Ebony is a rare and valuable wood that constantly rises in price as it becomes more scarce, so this set will always retain a high value. There’s two additional queens, so when you reach that stage of the game when you can add a second queen to your army, there’s no need to improvise. This ultra cool set comes from Italy and aside from being amazing quality is also a design classic. We’ve been selling this set for years and it’s always been a firm favourite. Firstly the board is blue, a lovely deep rich blue with stunning grains and figuring. Blue might not be to everyone’s taste, but it’s certainly striking. Secondly, it’s Italian, and pretty much everything that’s Italian is cool! The pieces are old school futuristic, they are based on a vision of the future that people had in the 1950s. The metal pieces have been expertly turned (lathed) rather than cast, which gives them a very cool precision engineered look. What makes this set cool is the material. Onyx is a stunning natural mineral that has been adored by people for years. Every set is unique, the patterns in the onyx are naturally formed so you’ll never get two sets the same. It’s heavy, looks beautiful and will make for a real head turning centre piece in your home. Need we also mention that this set is also Italian. It comes from Italfama who are one of the worlds most established producers of luxury chess products. This entry was written by regencyadmin, posted on June 4, 2018 at 11:33 am, filed under Chess Products. Bookmark the permalink. Follow any comments here with the RSS feed for this post.